Listing Agent is one of the homeowners. Owners have never occupied residence. Current property taxes are at the higher non owner occupied rate. Popular subdivision in Riverside High school district. Updated move-in ready 3 BR, 2-1/2 BA home. Large bonus room can be converted to 4th bedroom or used as family recreational area. Home has granite countertops, fireplace, and hardwood floors. You will find all new interior paint, new range/built in microwave, new gutters with covers, and new roof (2017). You will enjoy the butler's pantry off the kitchen and the dressing area off the second bedroom. The front stairscase leads to three upstairs bedrooms while the back staircase leads to the bonus room. 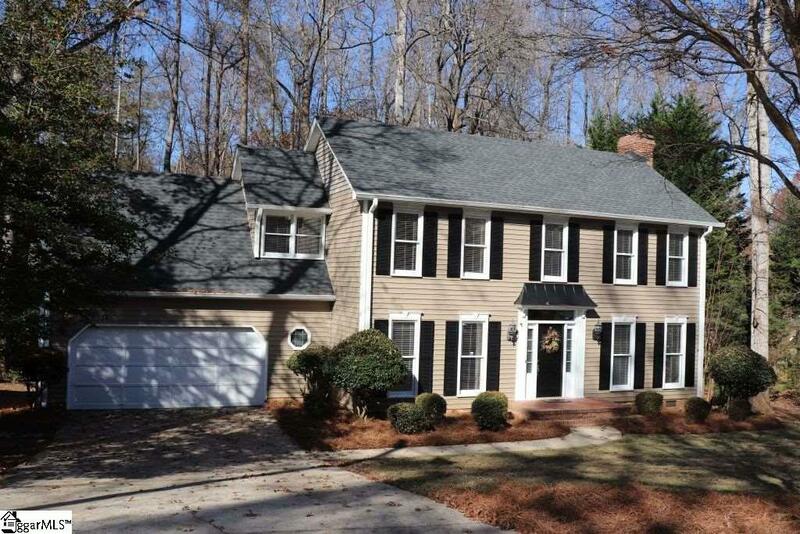 You will enjoy the large new back deck that overlooks the creek and wooded lot. MUST SEE!! Listing provided courtesy of Robin Mize of Wilkinson & Associates.